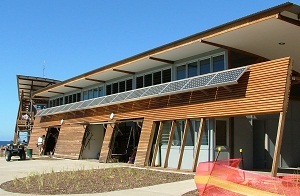 2.8kW grid feed solar system installed in Hinton NSW in 2007. System includes 15 x Solar Enertech 185W monocrystalline solar panels and a Xantrex GT2.8 2800W grid connect inverter. This copper clad house required a specialist solution to minimise corrosion through electrolysis. BP Solar 175W frameless laminate solar panels were mounted on custom stainless steel mounting frames. The 2.1kW panel array output is delivered to a Fronius IG40 grid-feed inverter which exports the green power to the grid. This project also included the supply and installation of an Outback VFX Inverter Charger and a Sonnenschein Gel battery bank to provide UPS (Uninterruptable Power Supply) functionality. The UPS system provides power to essential services within the house in the event of a blackout. 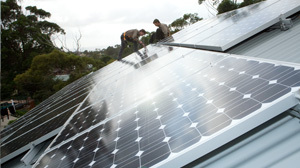 7.77kW grid feed solar power system installed in Kahibah NSW in 2010 includes 42 x Solar Enertech 185W Solar Panels and a CMS10000 10kW 3 phase grid connect inverter. 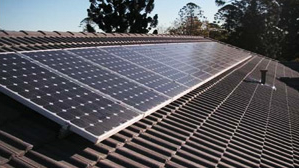 1.5kW grid feed solar power system installed in Kotara NSW in 2004. 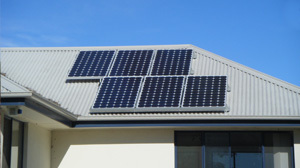 System includes 9 x Sharp 165W polycrystalline solar panels and a Fronius Midi Grid-Feed Inverter complete with data logger. 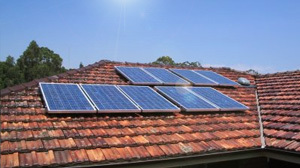 1kW grid feed solar power system installed in Newcastle NSW in 2009. System includes 6 x Solar Enertech 175W monocrystalline solar modules and a CMS2000 2kW grid connect inverter.